ASIA NEWS REPORT: Fr. Wei Heping, 41, died in mysterious circumstances, his body dumped in a river in Taiyuan (Shanxi). For the police claim he committed suicide. Family members are not allowed to even see the autopsy report. For Card. Zen the Holy See (which "is not necessarily the Pope") seeks a compromise at all costs with the Chinese government, risking "to sell out the faithful Church". Justice and Peace publish a booklet about Fr. Wei, not to forget. Hong Kong (AsiaNews) - Card. Joseph Zen, Emeritus Bishop of Hong Kong, has asked God to save the Holy See "from the brink of the precipice and not sell out the faithful Church [to the Chinese government]". The cardinal expressed his concerns in his homily recalling Fr. Wei Heping (alias Yu Heping), who died two years ago in mysterious and suspicious circumstances. The Mass was held last night in the Church of St. Jude, organized by the Diocesan Commission for Justice and Peace. Pointing out that "the Holy See is not necessarily the Pope," the cardinal remarked that in recent years, in which an initial dialogue between Beijing and the Vatican is taking place, the Holy See has often remained silent about the grave events of the Chinese Church such as death of Fr. Wei, the captivity of Msgr. Giacomo Su Zhimin, the destruction of crosses and churches in Zhejiang. "Dialogue - said Card. Zen - is important and necessary. However, it [the Holy See] is too optimistic about the communist regime. It has depended on its diplomacy instead of faith. It does not have a bottom line to reach an agreement." He continued “The Holy See is ceaselessly compromising and has even arrived at the point of selling itself out to appease. This is by no means what God expects of the Church and by no means faithful to the mission that Christ gave the Apostles. " These comments seem to have been provoked by some news the Cardinal has recently received and which is "very shocking". Previously, Card. Zen had thought the negotiations were stalled, that "the Pope was more cautious" perhaps because "Beijing had expressed other demands on which he could not agree." Without mentioning the diocese, the emeritus bishop of Hong Kong said that "they are pushing for an evil plan: to ask faithful bishops to resign in order to leave room for illicit and excommunicated bishops. This is a bolt out of the blue! And it is the approach of a huge disaster for the Church. " "Someone - he added - might think I'm using the Mass to complain. No, I think Fr. Wei is using my mouth to communicate. These words serve to let us know what kind of grace we are asking for today. " The body of Fr. 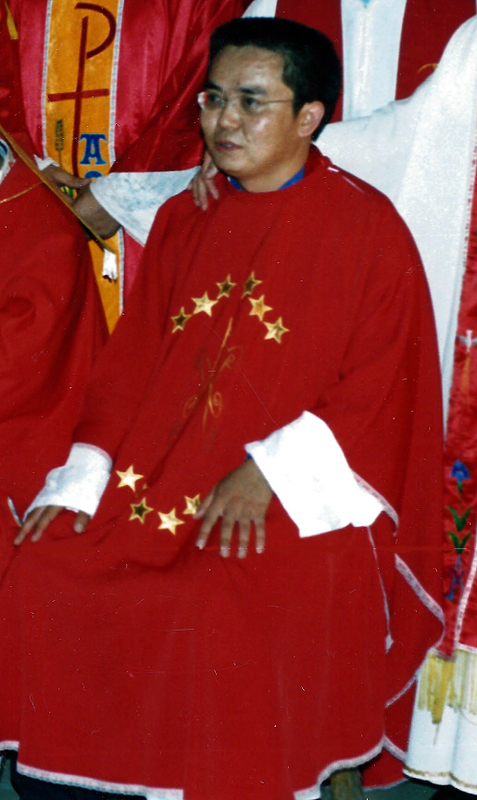 Wei, an active 41-year-old priest of the underground community, was found in suspicious circumstances in the Ren River, near Taiyuan City (Shanxi) on November 8, 2015. He had been expected to return the day before from a trip to Liaoning Province. According to ecclesial sources, who closely followed his case, the autopsy revealed a wide hemorrhagic area in the right part of the brain, but there were no visible wounds on the skin. The police concluded that he had committed suicide and archived the case. To the family of Fr. Wei was not allowed to have a copy of the autopsy report and they asked to reopen the investigation but the police refused. A faithful in the underground community thanked Card. Zen for remembering Fr. Wei and the Church's difficulties in China, and said she was saddened after reading the Cardinal's homily, posted today on his blog: "After reading this, my heart bleeds. As the cardinal said, maybe we should retreat to a cave and weep. But my heart does not give me peace. " The Justice and Peace Commission, which organized the Mass for Fr. Wei also published a paper and electronic booklet titled "Peace Pilgrim", symbolically using his name (Heping means "peace") and his tireless commitment to evangelization (see here). The booklet contains articles written by his family, friends, and faithful who received catechism from him, hoping that Catholics will not forget Fr. Wei, before the truth about his death is revealed. The text also includes a reflection of the priest and his opinion on the relations between China and the Vatican, entitled "Time belongs to God". In it he said there should be no hurry to make an agreement, if the political situation is not yet ready.